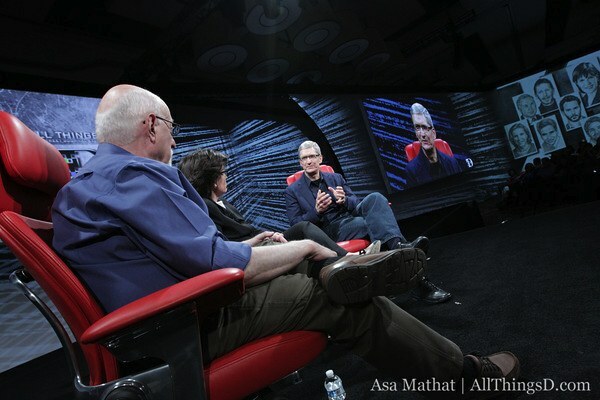 Steve Jobs’ appearances at Walt Mossberg’s annual D: All Things D conferences are the stuff of tech legend. Although current Apple CEO Tim Cook is no Steve Jobs, he certainly has a way with words, generating notable quotes and meme worthy utterances at a rate few sitting CEOs are capable. 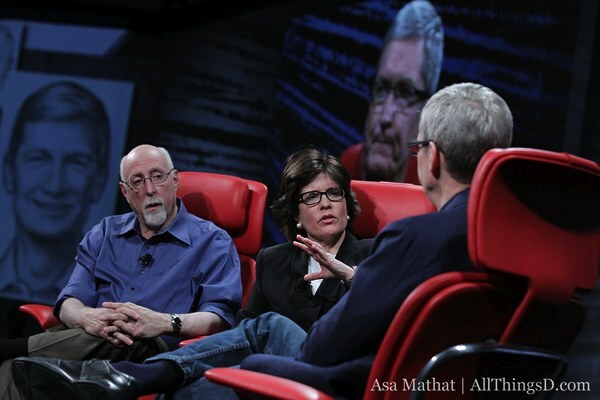 That said, dig into 10 of the most memorable Tim Cook quotes from his Walt Mossberg and Kara Swisher at this year’s D: All Things D Conference. I wouldn’t say we dominate [the phone market]. I’d say we have the best phone … I think one of our advantages is that we’re not fragmented. If you look at when we introduce a new OS, iOS 5, it’s amazing the percentage of our installed base that’s on the latest OS. That’s not true on Android. We’re going to double down on secrecy on products. I’m serious. However, there’s going to be other things where we’re going to be the most transparent company on the world. Like social change. Supplier responsibility. What we’re doing for the environment. We think that transparency is important in these areas, and if we are, other people will copy us. But last year we sold 2.8 million Apple TVs. This year, in the first six months, we’ve sold 2.7. And that was helped by 1080p and movies in the cloud. And, so this is an area of intense interest for us. Now yes, it can be broader, and so forth, but we see unbelievable potential here. And Siri as a feature, it has moved into the mainstream. People hear the word Siri and they know what you’re talking about. So I think you’re going to be really happy with where it’s going. We’re doubling down on it. From our point of view, it’s important that Apple not be the developer for the world. We can’t take all of our energy and all of our care and finish the painting and have someone else put their name on it. People focus on the final assembly, because that’s the part where people look at it and say that’s an iPhone, they don’t think of all the parts underneath that add significant value. So on assembly, could it be done in the US.? I hope so some day. The tool and die maker skill in the US began to go down in the ’60s and ’70s. How many tool and die makers do you know now? We couldn’t fill a room. In China you’d need several cities. Will the tablet displace the PC market? Today there are a lot more believers in that. I’d bet there are a lot of people in the audience who use their iPad a lot more than their computer. I know I do that. And I love the Mac, but I find myself spending more and more time on my iPad. As time goes on, I think it will get more and more like that. But when iPhone came along in 2007, all of a sudden the world changed for Apple, and many people were introduced to Apple in China, and the Middle East, and Eastern Europe, and Russia, and Latin America. And so the world opened… and now with iPad, iPad is doing well in a number of those markets. We’re never going to make the most personal computers. I don’t see that. But we are going to continue to make the best. …Apple [is] the only technology company I know of where if a customer got angry with the company, they would yell and yell loudly, but they would continue to buy. And Compaq, if people got angry at Compaq, they would just buy from Dell. And Dell, if they got angry at Dell, they would just buy from IBM. But an Apple customer [is] a unique breed. And there was this emotion that you just don’t see in technology in general.